Shuhei Yoshida has been in Brighton recently to pick up the Develop Legend Award for his achievements in the industry. While he was there, he spoke at Develop:Brighton with editor of Edge magazine, Nathan Brown. When asked about Sony finding success with its large single player games as the industry trends towards multiplayer, Shu admitted that he wished the platform holder was "more successful on the multiplayer side as well". Yoshida-san went on to say that part of the reason Sony produces the type of games that it does is simply down to the talents of the studios it holds. He said, "this is the area in which [our studios] have a chance to push this art forward," and that the Worldwide Studios teams must ultimately "follow their hearts" when creating games. Sony is of course capable of producing good multiplayer titles. The Last of Us and the Uncharted series are fairly well loved, and going back a little, the company did find success with the SOCOM series, Warhawk, and to a lesser degree, MAG. What are your favourite multiplayer Sony games? Do you also wish Sony would experiment with multiplayer games again, or are you enjoying its focus on single player experiences? Play nice together in the comments below. I loved Warhawk. Get it on PS4, Sony! @Quintumply yes! Warhawk was great fun. In fact it’s the only multiplayer game I have ever invested a lot of time in. So as far as my gaming needs go, I’m perfectly content with Sony’s impressive single player output. The suits at Sony can hold their heads high because of that special Shu polish. The 3rd party developed multiplayer content should be plenty. I say keep your focus on the high quality, single player, microtransaction-free content, sir. I usually play starcraft, ghost recon, and dota decades ago using LAN with laptop. The last multiplayer games that I play on ps4 is diablo 3 with my rl friends. I think uncharted/tlou way is the best, make a compelling single player games with good multiplayer. @Th3solution THIS so much THIS! Knack 2 and God of War: Awakening. @TH3solution already said the rest. I think Killzone was the last MP I actually enjoyed - not as much as other FPS MP's but Killzone 3 was perhaps the pinnacle of the franchises MP. I was never a 'fan' of LoU or Uncharted's MP but I did play Uncharted 3's MP - it had a few interesting modes. The problem with MP and Sony in particular is that they are competing with everyone else. Its difficult to come up with something wholly original in the MP space and very reliant on having a big community support. If your friends are all playing CoD or BF, it doesn't matter how good you think Killzone is, you are more likely to play CoD/BF too. With SP, you don't have to be 'original' from a game-play perspective - just have great characters and story and the success will come. As long as the game-play is solid, its the characters and story that will keep you engaged throughout. It has to be what the studios want to do. Sony have clearly supported a lot of passion projects of late, even when risky. If a studio wants to do a MP game because they have a genuinely good idea then sure but if you do an order and say, I want 1 x Destiny clone (hint hint EA) then you are already limiting the creative drive. They should acquire or build a studio or two that has the talent and the passion for multiplayer games. My only request is that it's somewhat unique! I'd say should focus on one big multiplayer game and build on that. A Warhawk remaster wouldn't be a bad idea considering it's still been played today, doesn't have to be expensive to produce either (server costs might be different though). It's time to MAG it up! never play MP really so does not bother me but who knows they might find a formula I might like one day. The Last of Us and Uncharted are far more known for it's SP content, so I don't know if those should count. I forgot Last of Us even had multiplayer. I think @adf86 has the right idea. Have it's own MP title. Hopefully it would stand out enough to succeed, but the MP space is pretty cutthroat. It's kinda not what Shawn Layden said the other day, though. He kinda made it clear they don't want to obstruct third-party games. Could've had a hit with The Last of Us' MP, but Naughty Dog left it broken and stopped supporting it years ago. @get2sammyb Which makes perfect sense. The platform is far more attractive when the platform owner isn't going to be prioritising their own games over yours. The only Sony game I play online is Everybodys Golf and they could do so much more with the latest game. @Shepherd_Tallon Yeah, I agree. Just think it's strange Shu regrets not having more multiplayer games when that doesn't appear to be their MO. Playing Monster Hunter World reminds me that something in that kind of style would be cool of Sony to have. Maybe a more futuristic setting with an emphasis on a story too? Just spitballin'. @get2sammyb i like to think it's just a statement he made to get them back in the positive light after the cross play issue. i think the MP front is doing fine,no need to regret anything. SP is their MO and money maker,no need to cash in with easy MP fluff. I'm surprised they haven't continued these franchises to be honest. @get2sammyb I'm not surprised they didn't continue those. The word "PSVITA" kinda hinted at that. Maybe as PS5 launch titles they can get remasters akin to Tearaway and Gravity Rush? @BAMozzy It's also hard to make your own multiplayer games when a good chunk of your money goes to advertising FIFA, CoD, Destiny, getting exclusive DLC and doing the work for EA and Activision. Tearaway and GR didn't do well, so I doubt it. @get2sammyb Yes, dude! I forgot about Freedom Wars. I didn't have a Vita, so the boat was missed. Heard it was quite similar to MH though. That's an IP they could work with in the future, I think. Give it another shot with SIE Japan Studio. Killzone 2, Uncharted and TLOU are some of the best multiplayer games I've ever played. @viciousarcanum i know what you mean but i realy would not call uncharted and the last of us "multiplayer games". @jdv95 I'm not saying they're "just multiplayer games" but that the multiplayer components to them are some of the best I've played. that's why i said that i know what you meant. but my point still stands. @BAMozzy I mean I'm surprised the studios seemingly want to do one thing and one thing only. They probably have some hidden talent who CAN do a multiplayer game in there somewhere. I mean hell, if the Animal Crossing developers can make the most unique third person shooter in years, I'm sure some intern at Naughty Dog knows what's up and is a future star in the field. The Last of Us online was excellent fun. Until they set it up so players could purchase better weapons with real money. Bad form Sony. I really hope they don't repeat that mistake in TLOU2. If anything, I think co-op is where they should try and make play for multiplayer. Otherwise releasing Warhawk again would be cool. And if they really want to try it, they should make a smaller downloadable only game with a unique idea, unique on the level of Assassin’s Creed MP, and make it a PlayStation Plus game to give it a playerbase. Perforce fit for Sony. @Get2SammyB I think he’s lamenting that everything possible isn’t there MO if I’m honest. Massive Action Game ! 😂 That game was crazy . Bring back Socom ! First time I ever played an online match was Socom 2 back in the day . Sony has so many great franchisee that their just sitting on . @Knuckles-Fajita Its not these Devs can't do MP at all - ND have proved that with Uncharted/Last of Us, GG did with Killzone for example and there is Polyphony with GT too. The question though is should they 'have' to include or focus more on developing MP based games. MP doesn't just mean the competitive type experience that everyone seems to think of as soon as 'Multi-player' is mentioned. Whether that is solo/team based shooting or racing, there is more to MP than just competing against other 'real' people. Games like Destiny, Division, CoD, Far Cry, Gears of War, and the upcoming Anthem all offer co-operative Multi-player experiences - Strikes, Raids, Campaign, Horde modes and even just free roaming their open worlds. Uncharted 4/Lost Legacy 'could' have offered a 'co-operative' MP campaign with 1 player as Nate/Nadine and the other as Sam/Chloe for example. These games could also offer some 'Horde' type mode maybe with some 'tower defense' type mechanic or built some other MP co-operative experience similar to a strike/raid but related to the game - for example raiding a Tomb with puzzle elements requiring multiple people to solve in Uncharted, having to fend off waves of Clickers etc and prepare your defences in Last of Us. Point is, there are more options than just having a 'typical' competitive MP. However, as soon as someone mentions 'Online' or 'MP' its suddenly transformed from a 'must have' to being dismissed or compared to other 'high-profile' games even if it is something different. It must mean 'competitive' if its MP but MP just means more than 1 other 'real' player. MAG! I loved that game. Ahead of its time. Haha simples Shu! Just hire talent who've worked on blockbuster successful MP games before and build a new studio focused it! Guerilla took that chance and changed from KZ to the story telling blockbuster HZD with new member from ex-fallout pedigree. I mean look at blizzard, they're able to tell fantastic stories, creating totally new lore and excel at single/multiplayer (more nowadays). Sony gaming division is loaded with cash atm so why not hire the big guns from MP studios lol! I heard Housemarque, the developers behind resogun and alienation, are making a multi-player centric game. However they need some publisher support, and are free for anyone to help including Sony. Maybe Sony can pitch in? @get2sammyb I'm still waiting for a PS4 version of either Soul Sacrifice or Freedom Wars. Probably won't happen, but I'm waiting regardless. 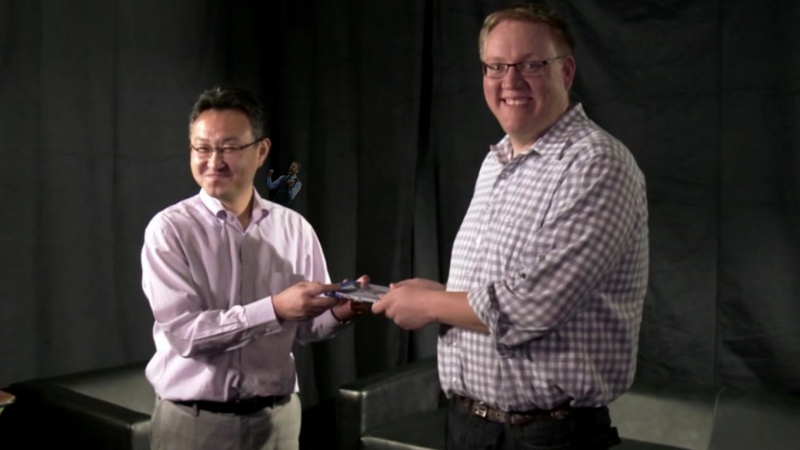 @Knuckles-Fajita I always assumed they'd bring both to the PS4 and carry them on to be honest. I think the ship's probably sailed now, though. They missed the boat on SOCOM I think. Could have done very well as a "service" game in the early days of PS4, with a low price tag and regular updates. Same with Warhawk. I just think the PS4 is well serviced with multiplayer games now. It's hard to get people off Call of Duty or Battlefield or whatever. @get2sammyb Yeah, the time has passed. Maybe sequels? Regarding SOCOM, yeah they missed the boat but the fact they obsessively market other shooters for other companies would honestly defeat the point. I’m curious if he means multiplayer in an online COD/Halo/Battlefront way, or as in a Local Street Fighter/Mario Kart/FIFA sort of way? Warhawk and UC2 were Sony's absolute best multiplayer experiences for me, personally. @Th3solution Exactly this! I wouldn’t complain if Sony releases a new Socom or Starhawk, but the focus should be definitely the single-player games. Many studios and publishers are focusing on multiplayer games already, for them it’s like linear single-player games are a bad thing. Stick to what you know, Shu/Sony. Especially as you do it so, so well. Multi-player is cookie-cutter, play one and you've played them all. For all the crying about wanting something 'different', as soon as you do something different, all you get are cries about how "it should be more like CoD". Case in point: Killzone 2. "It feels too heavy!" "It's too slow!" Even Sammy was in on it. @Knuckles-Fajita Hey soul sacrifice and freedom wars where awesome. Especially Soul sacrifice ! Still baffled about Soul Sacrifice it was awsome. @Knuckles-Fajita I don't think we are. @Paranoimia I thought God of War Ascension multiplayer was great, yet most didn't enjoy it, so yeah. People just want more of the same. @Paranoimia Man. 10 years ago. @bindiana I got my first Hole-In-One last night. Been a fan since “Hot Shots” wasn’t for “Everybody”. Uncharted and TLOU are my favorite online multiplayer games. Outside of my fantasy RPGs of course. Third party has it covered. Keep making awesome single player games. Killzone 2, 3 and Shadow Fall (and Mercenary) had great online, Warhawk was a blast for a very long time. I loved MAG, but not many others seemed to. It was also out during a period when it felt as if the vast majority of PS3 players weren't using headsets - which really could hinder your team. killzone 2 and 3 for me, both were great, and i played 500+ hours of each. along with the battlefield bad company games, i rate them as the best competitive shooters. shadowfall's multiplayer was such a disappointment after those, it mostly ditched the best aspects from the previous games. i don't like the main battlefield games as much as bad company either. i thought resistance 3's multiplayer was pretty good as well. R2 was a bit chaotic for me, but R3 was more tightly focused, better shooting, and great weaponry. even though i generally really dislike racing/driving of any kind in games, i did (to my surprise) quite enjoy motorstorm apocalypse's multiplayer. MAG was a great concept, its execution wasn't up to the level of ambition though. 256-player multiplayer was a great achievement to pull off on PS3, and the whole ongoing faction thing could have been interesting, but the design was pretty bland, and more importantly, the shooting was rather naff.. which is hard to forgive in a shooter. it just felt weak and really inconsequential. still think the concept could be resurrected and turned into a really good multiplayer. but sony seems to have abandonded making FPS's. not wanting to compete with CoD, battlefield or destiny, and seeing how halo isn't the massive seller or console seller that it once was for microsoft, just seems like a lazy excuse to me. i'd like to see insomniac have a crack at resistance 4. i doubt we'll see another killzone on PS4, though i do expect that guerrilla will add some kind of co-op gameplay into horizon zero dawn 2.